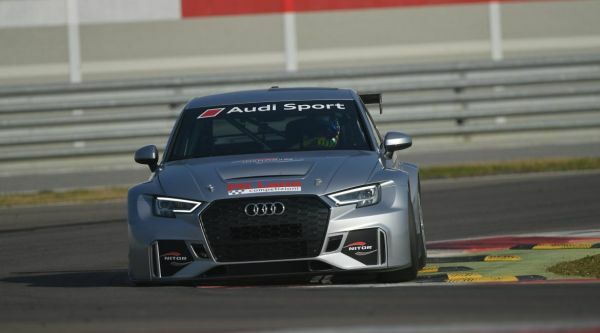 Pit Lane Competizioni is set for a full-season campaign in new TC Open Series as the Italian squad has announced that Italian Enrico Bettera will be at the wheel of their recently acquired Audi RS3 LMS. Pit Lane Competizioni has vast experience in touring car racing and the team led by Roberto Remelli has tasted success over the past years. On the other hand, Bettera spent eight seasons competing in touring car series and, more recently, took part in the 2016 Campionato Italiano Turismo with a Pit Lane Competizioni-entered SEAT León Cup Racer TCR equipped with a sequential gearbox. There, he scored five podiums in six races, including an impressive closely-fought win battling with Aku Pellinen’s Honda Civic TCR at Monza. “This season will be a challenging year but we are looking forward to starting! We are glad to enter the TC Open, a new European series based on six events on the most prestigious F.1 circuits across the continent. We will fight with a competitive field of drivers coming from all over Europe. But we feel confident going into 2017!” Remelli was quoted saying. Besides, Pit Lane Competizioni expects to add an upgraded 2017-specification SEAT León Cup Racer TCR to its team.